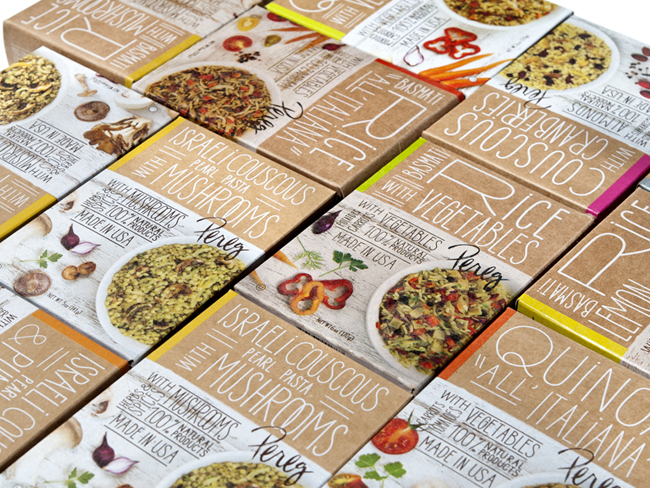 Designed by Squat Design, New York, United States. 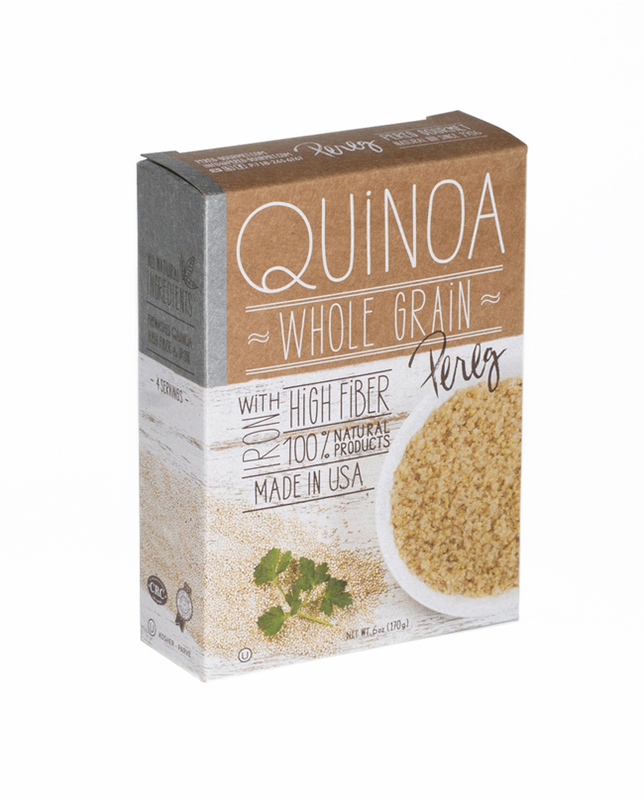 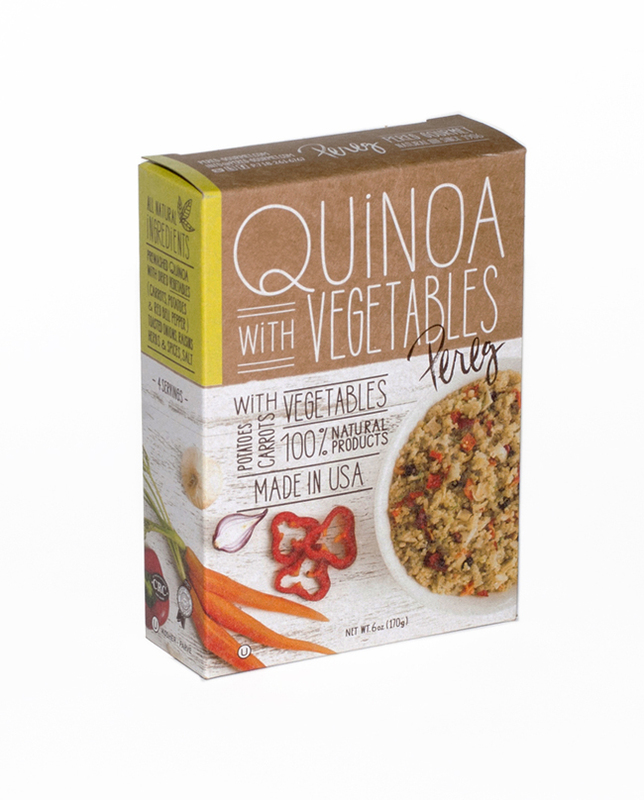 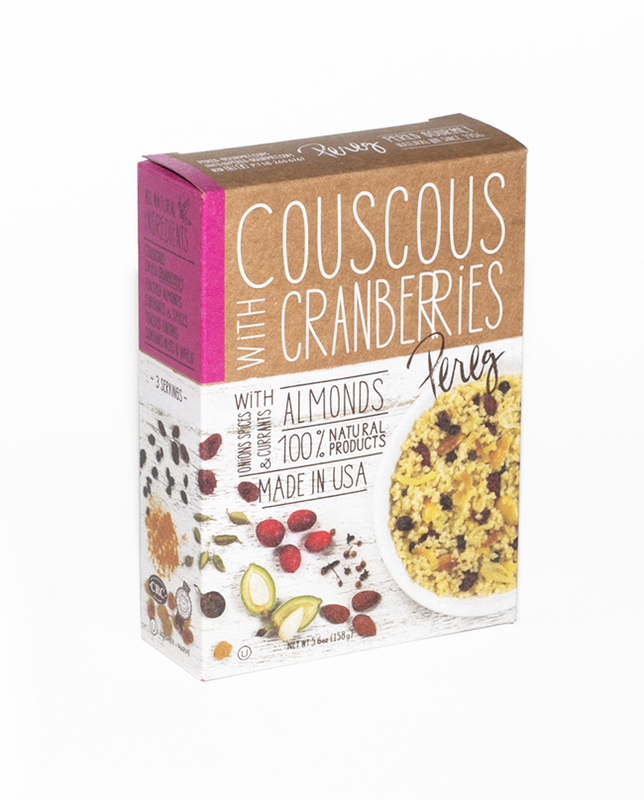 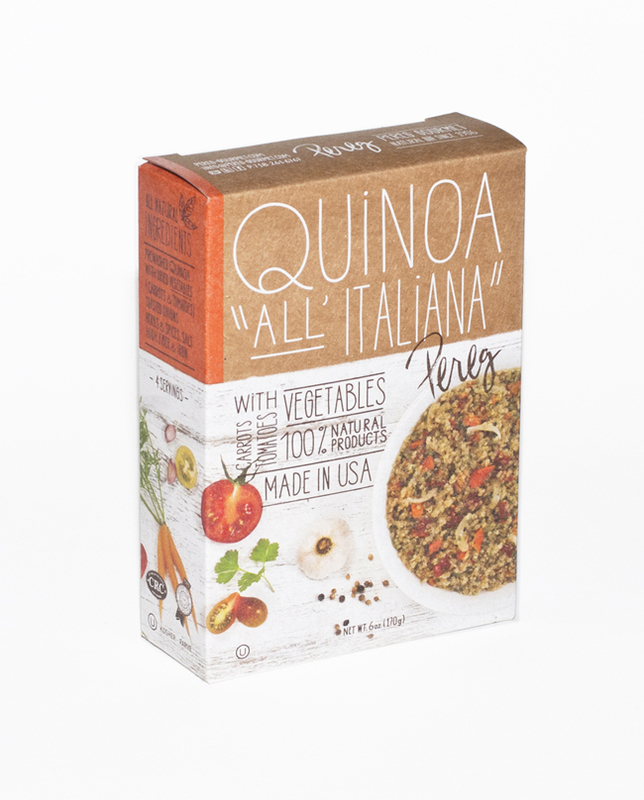 Pereg Gourmet Natural Foods launched its Quinoa-Rice-Couscous line, “superfood” mixes that combine major health benefits with international flavors. 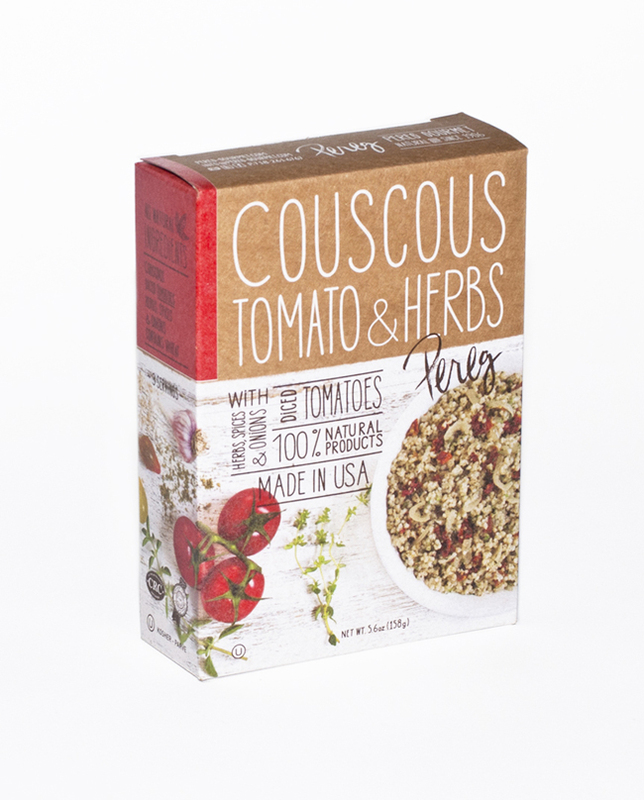 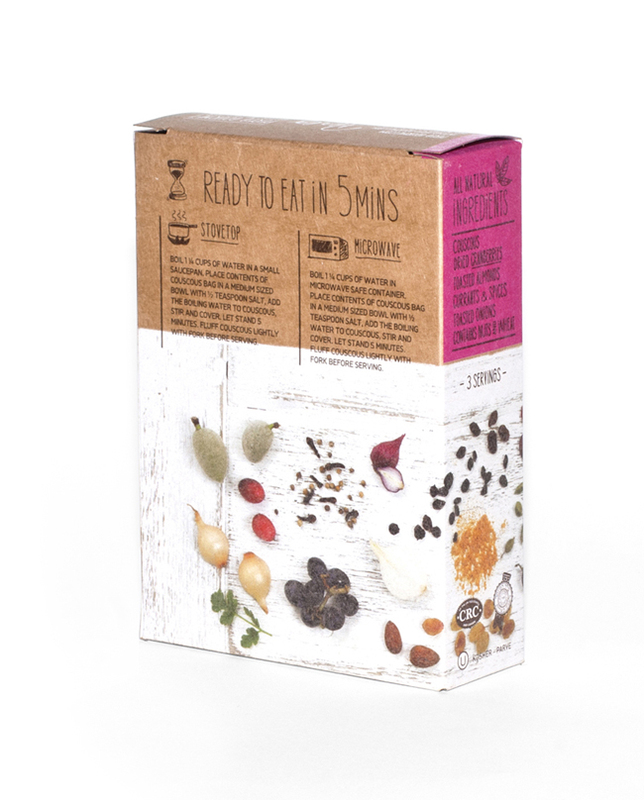 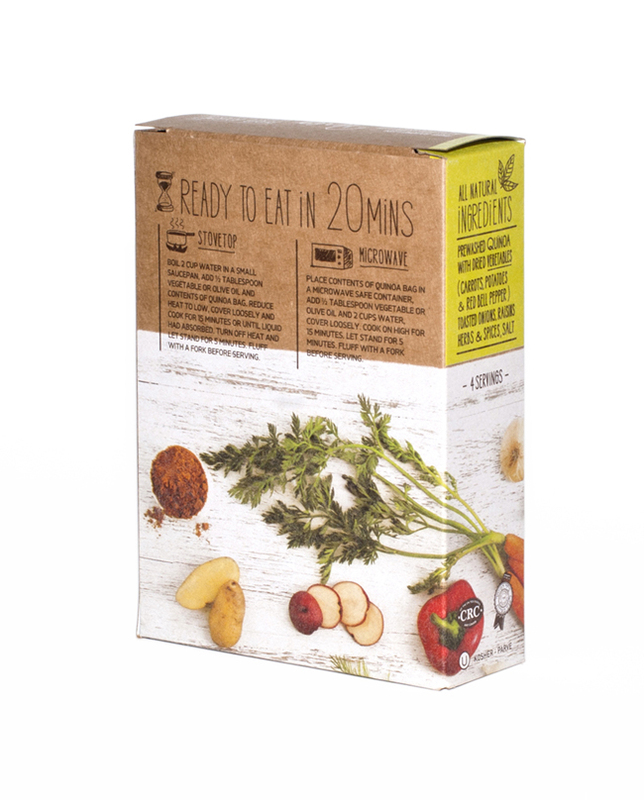 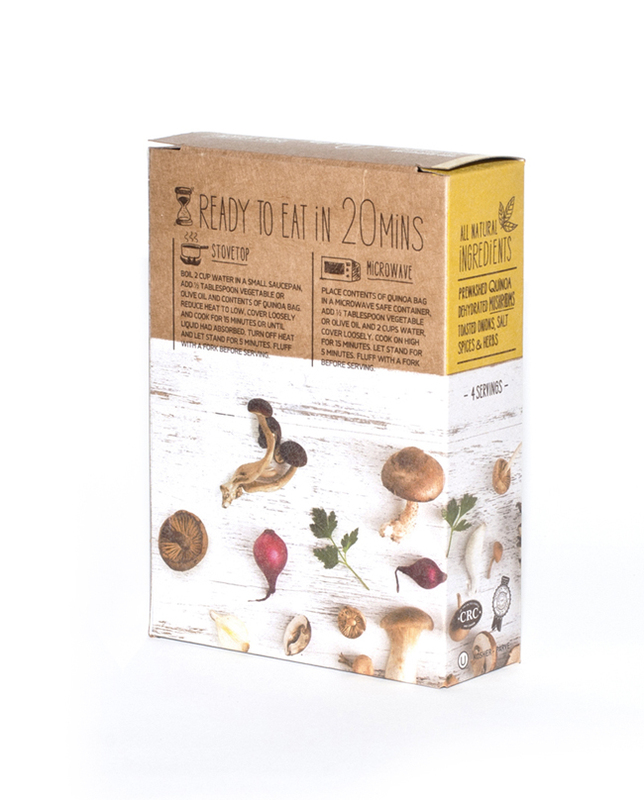 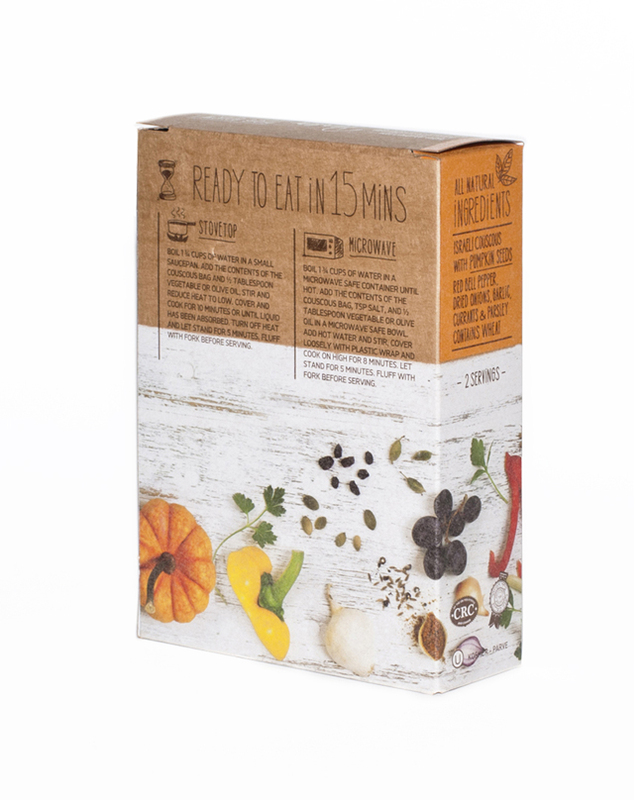 With this line, Pereg exceeded the normal bounds of wholesome flavorful food production and challenged Squat Design to create packaging that has a savory, tasty appeal, visually communicates the natural, nourishing qualities of the products and stimulates the consumer. Squat Design’s expert art direction unified the visions of graphic designers, the photographer and stylist to create artful packages that stand out on the shelf. 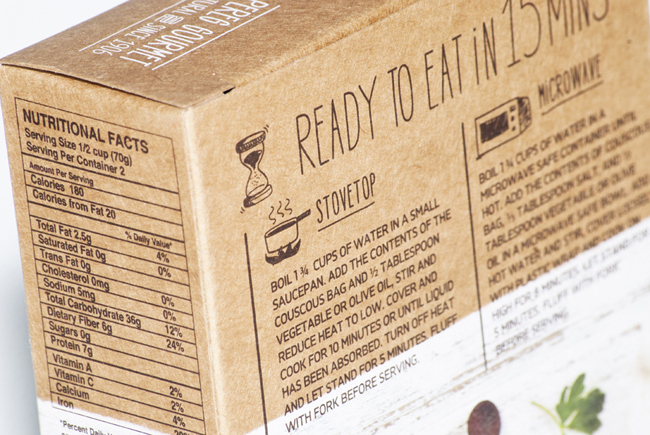 Our designers opted for recycled, raw-type paper to express the natural feel of the product and our technical team worked intimately with the printer, to resolve the issues of complicated printing techniques, in order to realize the desired design.